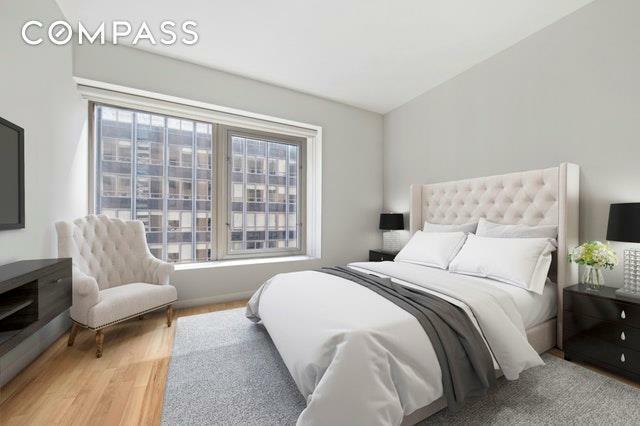 Welcome home to this posh, sizeable, split two-bed, two-bath corner unit located in one of Wall Streets most desirable buildings designed by award-winning Rockwell Group. Residence 24O is one the largest units on the O-line with sun-flooded Northeastern exposures, 10-foot ceilings, oversized windows, a great amount of closet space and a generous entryway.Unit features:"Wide-planked cerused oak flooring"Boffi kitchen"Caesarstone countertops"Lacquer cabinets"Miele appliances"Subzero refrigerator"In-unit Bosh washer/dryer"Botticino marble 5-pc master bathroomLiving at 75 Wall means having all you need right at your fingertips. 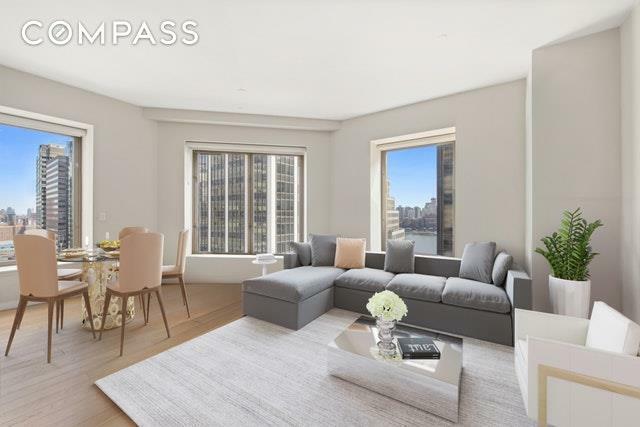 From shopping at Brookfield Place buzzing with prominent brands such as Le District, Saks Fifth Avenue, Hermes, and Burberry, to the soon arriving Westfield World Trade Center youll be at the center of it all. With easy access to nearly every subway line and the newly constructed Fulton Center, to major food markets and restaurants like Dean and Deluca, Eataly, Nobu, El Vez, Blue Smoke, North End Grill, and many more, theres something for everyone. Theres also the South Street Seaport a short distance away with its many shops and eateries situated on the East River with stunning views of Brooklyn and Manhattans historic bridges. 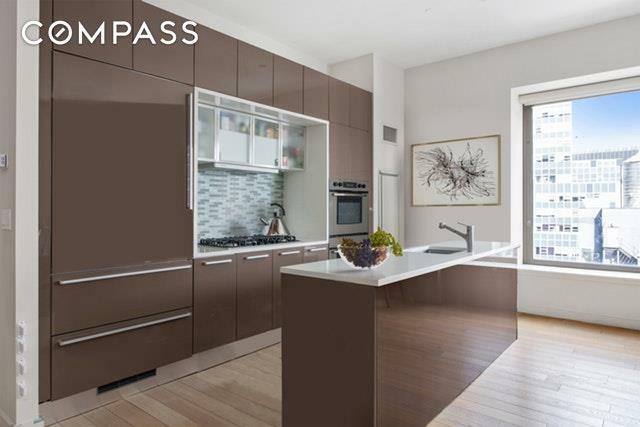 Listing courtesy of Christina Maldonado of Compass.